The daylight saving has ended in New Zealand last weekend, with no one complaining as we enjoyed an extra hour of sleep on Sunday morning. 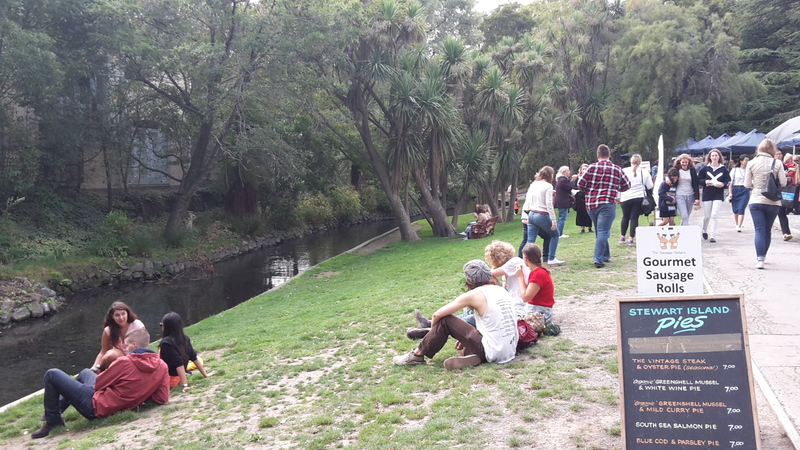 The weekend in Christchurch with our parents was good, though always too short. The weather wasn't fantastic but it wasn't bad, either. Not even that cold, which it usually is, even if I did have a turtle neck on to keep myself from getting any sicker. 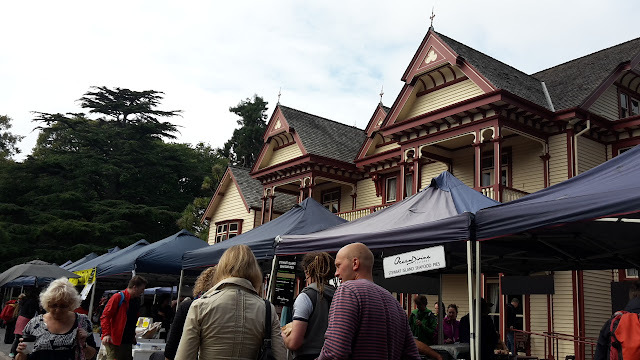 When I'm in Christchurch I like to visit the Farmers' Market in Riccarton. It's not as huge as some of the ones you see in Europe though just as crowded, but I love the atmosphere, especially in amongst the trees. 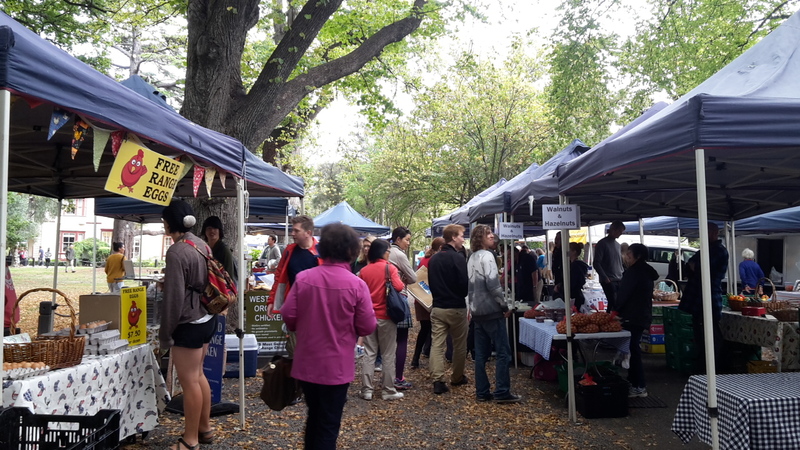 The market this weekend especially gave off the autumn vibe with the fallen leaves beginning to cover the tracks inbetween the stalls. We hear that the weather in Europe is definitely picking up now, with the temperatures rising above ours in NZ, already. Better get armed for the colder weather soon.